Classic Dirt Bike is all about motorcycles made for the rough stuff and those who ride them. 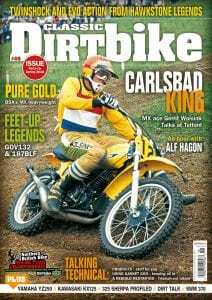 It features news and reviews on everything from pre-65 to Twinshock and Evo in trials, scrambles, enduros and motocross. Off-road events from across the world are given full coverage and legendary riders are interviewed too. It’s all illustrated with photographs of classic machines in action, both newly taken and from the extensive Mortons Archive. 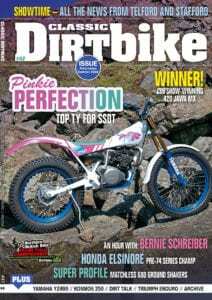 Workshop guides are part of the package and technical features offer advice on how to get the best out of a classic dirt bike. So don’t miss out – get involved and take out your magazine subscription now! Captain Obvious is a UK advert character who points out the obvious to hapless souls… He was needed in the workshop. … a works bike in your shed. Why? Not just because we say so, but so you can revel in its glory – first is a works Honda MX. … a works Aprilia trials bike to keep it company in the secure part of the shed. We take an in-depth look at Montesa’s Cappra MX model developed from Kalevi Vehkonen’s works model. As CDB is subscription only you’ve either subscribed, nicked a mate’s copy or seen us at a show. If it’s one of the latter two subscribe here. The elder statesman of trials journalism relates the life and times of the Spanish and Italian motorcycle factories. That Mr Berry knows a thing or three about MX, which is why we give him a page here for his views. What’re you talking about in the CDB world? We’ve a packed letters page this time. Suspension was the area of engineering interest for the MX world in the Seventies. Three inches of movement wasn’t enough… more was needed. It is 50 years since Montesa made their appearance on the UK scene – we look at a few Montesa things and chat to a name or two. 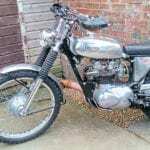 Putting a Triumph engine in a BSA frame makes a… Beezumph… hmm that name is taken… how about TriBSA…? … Brad Lackey the American superstar, all-round great guy and guest of honour at Drumlanrig. Moto Aspes made high quality machines but they’re quite rare. We spot one in the wild. We’re in Cumbria, Northumberland too and the legendary Hawkstone Park for a MX, an enduro and the Hawkstone Legends. 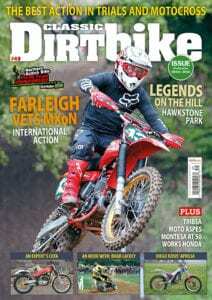 Farleigh Vets MXoNations is 10 years old this year. Nick Haskell enjoyed the sunshine, the atmosphere and yes, the racing. Rapid progress has been made on the bits of our Project 90, a lot of them are in and where they should be. Read more in the Winter issue (No.49) of CDB – out now! We’ve all done the push of shame when a normally reliable bike gives up for little or no obvious reason. If it’s happening, going to happen or happened then this is where you’ll find it… and the season is hotting up. … a Bultaco Matador in there too. There’s just room if you push one or two of your other bikes closer to the wall. As CDB is subscription only in the UK you’ve either subscribed, nicked a mate’s copy or seen us at a show. If it’s one of the latter two… subscribe here. The elder statesman of trials journalism always has a view on something and he puts it across here. What’re you talking about in the CDB world? All sorts of things as it happens, bring it on we say and so you did, we’ve a packed letters page this time. That Mr Berry knows a thing or three about MX which is why we give him a page here for his views. These moto memory images are carefully chosen by the editor as he trawls through back issues of magazines and spots something which piques his interest. …Gary Macdonald! For the second year in a row the Kinlochleven joiner won the Pre-65 Scottish. We check out his bike. Sometimes it’s easy to find an archive piece, other times it’s hard, but occasionally something special leaps out at you as you’re searching for something else. In order to up their game, Greeves approached Queens University Belfast for help in developing their big two-stroke. We look at one taken a bit further. … Gerrit Wolsink, guest of honour at Telford’s Classic Dirt Bike Show and top MX star of the Seventies. CDB heads to Scotland – twice – and to Cumbria for three cracking events which enjoyed mixed weather. No, not horses but lots of horsepower as the cream of MX heads to Scotland for the superb setting of Drumlanrig Castle MX track. It is best to plan during rebuilds – it doesn’t always work out that way of course, but it’s nice to have a plan. Oh no, what happens when a vital thread strips, one which a stud screws into and its position is critical to component alignment? ‘Our survey said?’ We ponder the benefits of surveys and encourage you to do ours. If it’s happening, going to happen or happened this is where you’ll read about it and the season’s hotting up. …a James J9 Commando in there too! Why? Because it was the ultimate club trials bike of its era. Matchless’ G80CS is looked at this issue. Forever associated with the great Dave Curtis, this model was up against the Goldie in the classic era. 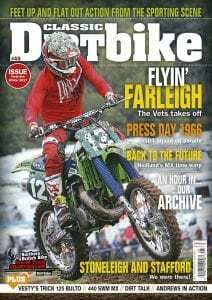 As Classic Dirt Bike is subscription only in the UK you’ve either already subscribed, nicked a mate’s copy or seen us at a show. If it’s one of the latter two, subscribe here and secure a great deal. Berry gets bookish! The ins and outs of being a famous author, dealing with publicity and your subject sitting next to you. The space-age had arrived and the world was not enough… enter the Kosmos which attracted a lot of attention at the Racing and Sporting Show. Chosen by Classic Dirt Bike Show’s guest of honour, Gerrit Wolsink, as best in show, we get the lowdown on Bill Henson’s Jawa 420. …1979 world trials champion Bernie Schreiber. 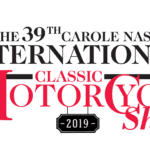 Due to be guest of honour at Bultaco Nostalgia in June, we spoke to him and asked all sorts of things – this is what he said. Kris Winder was turned to the dark side of motorcycling by his father-in-law and compounded it by winning the 2017 pre-74 championship with this Honda. We have a glance at what’s up in the more modern side of classic with some goodies seeing action on the track. Becoming distracted in the archive is an occupational hazard but it does turn up some interesting things, such as the Walwin. Yamaha’s TY Mono trials bike was, and is, a good bike, but to ride one in the toughest trial in the world 30 years after its era? Must be something pretty trick. With Hagon’s backing, the Classic Dirt Bike Show was bigger and better than before. Here’s our take on it but what’s yours? Write and tell us. It is time to inspect the bits, see what’s what, see what’s there and what’s usable and maybe shift a part or two and acquire new ones. Battery power takes charge as our editor points out this electric lark isn’t such a new idea after all. …a YZ250L in your shed, yes, you do. You may not realise it but this Yamaha is what you’re waiting for. …a Kawasaki KX125C1 in your shed, and it will do more than simply keep the Yam company. We have an in-depth look at the 325 Sherpa, Bultaco’s answer to those who wanted more… more… and yet more. As CDB is subscription only in the UK you’ve either subscribed, nicked a mate’s copy or seen us at a show. If it’s one of the latter two… subscribe here to secure a great deal. 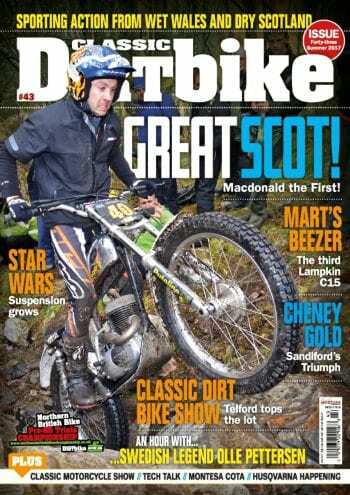 The elder statesman of trials journalism broaches the ‘what’s the best bike’ subject… that’s brave! Someone else being brave is Ian Berry who champions the riding style of one rider over another and says who’s most stylish. Want to improve your skills? Ask a master. We try life on three wheels. What’re you talking about in the CDB world? All sorts of things as it happens, bring it on we say. An ISDT checkpoint is often a frantic place as riders hurtle in, desperate to keep on time. In 1975 however, there was time to peruse the Rokon. At one time, to win in scrambling, a rider had to invest in the gold standard, BSA’s gold standard that is the Gold Star. … Yamaha invited the press along to its MX launch in 1978. Pete Kelly turns back the clock to review the day for us. than Sammy Miller’s Ariel and Gordon Jackson’s AJS? … the legend Alf Hagon. We sit down with the forward thinker and try to keep up as he talks about bikes, bike sport and howling over an airfield on a v-twin JAP. We meet Philippe Vanderwalle, a man with passions for cooking, enduro and for SWM – we look at the latter two. Is there a more legendary place for MX than Hawkstone Park in Shropshire? We say no there’s not… and John McCrink went along to Hawkstone Legends for us. The time has come, the need is there, the realisation that wheeling a bike from shed to shed is a whole lot easier than carrying it in boxes. an enduro? Tell us, we could well put it in this bit. All old bikes leak oil, it’s their charm… er no, they don’t have to, and with the help of Loctite we show you how top stop them dripping. The opportunity to build a shed from scratch rather than inherit something built by someone else is a rare opportunity indeed. Our regular look at what’s happening in the off-road world, events to go to, series updates. By the mid Sixties the world had decided lightweight was the way forward… Hedlund thought otherwise. ISDT duty cropped up – meant a few superb chassis were devised though. … a Drayton Triumph, we look at a winner first time out and get the spec from the rider. 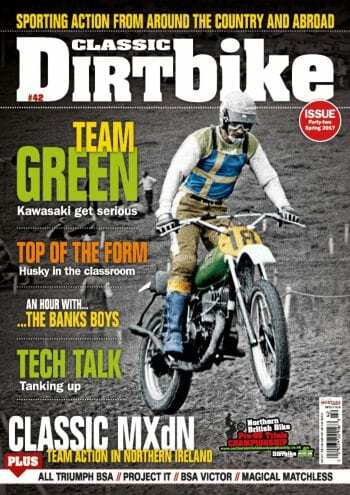 As Classic Dirt Bike is subscription only in the UK you’ve either subscribed, nicked a mate’s copy or seen us at a show. If it’s one of the latter two… subscribe here. If only our other halves knew how much we almost spend at these shows we go to… oh, they know do they? Is it the fountain of youth at which Mr Berry has been sipping? No, just a view that youth isn’t a new thing… This is part two! What are you talking about in the CDB world? All sorts of things as it happens, bring it on we say. All eyes were on Mick Andrews’ rear end at the 1977 UK world round and Nick Nicholls caught it in action as it soaked up the bumps. 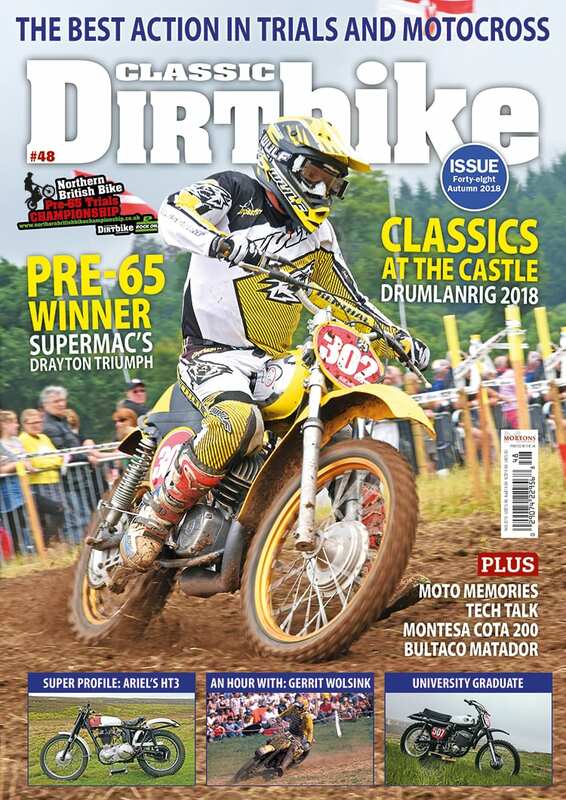 … the ISDT squad was paraded in front of the press at Fenny Drayton. It was a well attended affair with the industry notables all over the place. With the current interest in smaller capacity bikes for pre-65 trials, we have a look at a rather special small capacity bike for twinshock trials. … or actually ‘an hour in…’ for this issue, as it eventually dawned on the editor that a feature around the archive here at CDB Towers could be a good thing. In the search for MX success, more cubes will often help… CDB is invited along to the first running of a big-bore SWM. We’ve been to our sponsored NBBC round in the North East and a twinshock MX in Chester… where have you been? Got something to help the off-road world go faster, keep their feet up longer or remain more on time in an enduro? Tell us, we’ll put it in this bit. All is never lost… there will be something out there to help when things wear out and replacements can’t be found… like gear change shafts for instance. The hoary subject of what constitutes proper trials riding forces the editor to nail his colours to the mast. … a world championship-winning CZ. We look at a profile of the actual CeeZee Joel Robert won his world championship on in 1964. As CDB is subscription only you’ve either subscribed, nicked a mate’s copy or seen us at a show. If it’s one of the latter two… subscribe here. More from the all encompassing eye of one of the off-road world’s most senior journalists, always thought provoking, always interesting… what say you? Is it the fountain of youth at which Mr Berry has been sipping? No, just a view that youth isn’t a new thing. Cadwell Park in Lincolnshire is more known for road racing but it has occasionally hosted proper racing too as our image of an MX GP shows. …BSA’s Bantam never quite managed a full SSDT win; close, very close but not quite. The Pre-65 Scottish however, has been won by a Bantam and we’re featuring it here. …Brad Lackey was comeback king of Farleigh Castle. We look back to 1982 when, despite being written off by the MX world, Californian Lackey showed his mettle. How did Suzuki produce such a light motocrosser? By dedication, sound principles and creativity. We look at an RN370 from 1972. The world of MX lost a legend recently, when Swede Hakan Carlqvist passed away suddenly. Here’s our tribute to the legendary world champ. Which is what the ailing BSA/Triumph group did with the Triumph 500 engine and the B50 MX chassis to produce pure gold. With the IT465 project having a break, the editor has a chance to do a bit of work on his own bikes. 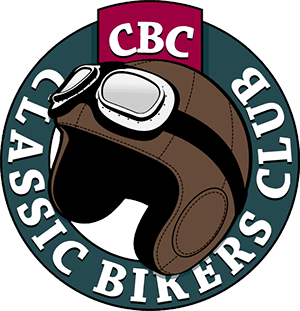 Old bikes are nice, they’re fun, they’re ‘our’ thing or you’d not be reading this… they can be improved… we have a look at a Rotax clutch. We’ve been in the north for the Kia Twinshock series, West Midlands for a hill climb and Scotland for the Scottish Grand National. Where’ve you been? With Rob Shepherd being guest of honour at Inverness and DMCC’s Highland classic trial it would have been rude not to go… so we went. Westmorland MCC invited Bultaco’s works riders along to a Bultaco Celebration in Cumbria. What a trial it turned out to be. The fluid and volatile world of dirt bikes is food for thought as the editor looks back 56 years as Dougie Lampkin equals Gordon Jackson’s one mark win. Sometimes a bike just manages to survive in an untouched state as events surrounding the owner mean they don’t use it in anger – such is this 310 Cota. …a sidecar trials bike in your life, yes you do, you may not realise it but you do and this is where we tell you why. Feel free to disagree. The world yelled ‘lightweight’ the British said ‘Cheney dear boy’ and created a legend in ISDT, we look at the ex-Jim Sandiford 504cc ISDT Gold Medal winner. More from the all encompassing eye of one of the off-road world’s most senior journalists, always thought-provoking, always interesting… what says you? An arch scrambles enthusiast suddenly notices some off-road riders go slower than others and don’t put their feet down as much, it’s called trials riding Ian. It’s 1972, the Japanese have arrived and MX is shooting up a gear. Roger DeCoster is in the ascendency at Suzuki and showing he’s a winner. …or one of them at least. Liston Bell won the Pre-65 part of our classic scrambles championship, John McCrink went to see him. 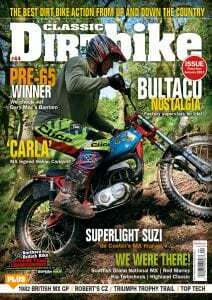 A slight tweak to our archive bit this issue as Norm DeWitt went Husqvarna crazy and infected us too, great meet, great bikes. For years scramblers had only a few inches of suspension travel at either end of their bikes… then came long travel and the world moved on. …with Olle Petterssen. To be at your height in racing and the factory say ‘you know what? Don’t need you’ could be a downer, but not for Swedish legend Olle Petterssen. Youngest of the Lampkin brothers, Martin began his competition career in 1967 on a C15 similar to those used by his elder siblings Arthur and Alan. From a gaggle of SWMs in Wales, through the best of Stafford show to the ultimate Pre-65 trial in Scotland… CDB is out there. 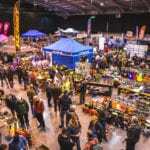 We were at Telford with the best of the classic, twinshock and Evo world on display, with bits and bobs and bikes and blokes too, oh and a dinner as well. Assembly progresses as a problem is solved and more information comes the editor’s way. We know your bike should be reliable before starting the event but what happens if there’s an incident? That’s when you need your ‘on bike’ tools. For more than 30 years it has been the aim of a Scottish rider to win the Pre-65 Scottish. It nearly happened last year but Gary Macdonald has done it in 2017. The lad from Kinlochleven kept his cool and took the top spot. CDB were on hand to get his Bantam for a feature – see the next issue. Take a selection of Eighties SWMs, a bunch of riders determined to enjoy them and some dampish scenery in Wales… yes it’s the Old Knobblies on tour. See our sport feature for more. The seed of doubt, once planted, grows in to the absolute certainty of an error and the only recourse is to check. Our regular look at what’s happening in the off-road world, events to go to, series updates, perhaps a book or DVD or two. … a big Matchless. Once the mainstay of the trials world, the big single was relegated to a supporting role when lighter bikes gained reliability. Take one stunning bike, do some in-depth research and write it all down here, in our Super Profile bit. When BSA went Triumph. As CDB is subscription only in the UK, you’ve either subscribed, nicked a mate’s copy or seen us at a show. If it’s one of the latter two… subscribe here. More from the all encompassing eye of one of the off-road world’s most senior journalists. Always thought-provoking, always interesting… what say you? Setting his stall out, our new columnist tells how he got to become a noted MX author and what floats his MX boat. Remember TT Leathers’ Vystram suits? Oooh the world was colourful in the Seventies. A selection of events to brighten your winter from Brit bikes in Japan and France to traditional events in the UK. We went there, where were you? …in Northern Ireland for the Classic MXdN…boy was the action good. If only I had an alloy tank I’d be faster… better… cooler. Rarely mistaken for the King of Cool the editor does have a Triumph with an alloy tank now. …that the press got a hold of the ISDT team bikes for a pre-event try-out. Their sketch artist went along too, oh if only we could afford sketch artists these days. Take one ex-works team Kawasaki, add a bit about the company’s early MX forays, talk about the work needed and hey, it’s an SR400 feature. …with the Banks family, MX through and through with three generations all making their mark. It pays to take time to do a job right and Roger Simkin’s Cheney Victor is a shining example of this credo. Our cover shot is of works Kawasaki rider Christer Hammargren riding the actual 400cc Kawasaki featured in our story on page 34. The shot, expertly coloured by our design team, was taken at the 1974 British MX GP. Our Class of 1970 feature Husqvarna takes pride of place in the window of a classroom, quite apt really as Husky taught the world an MX lesson. So don’t miss out – get involved and take out your print or digital magazine subscription now!